Music students from The Sixth Form College, Solihull celebrated the end of the Spring term and the forthcoming Easter holidays by entertaining friends, family and staff with an Easter Music Concert this week. 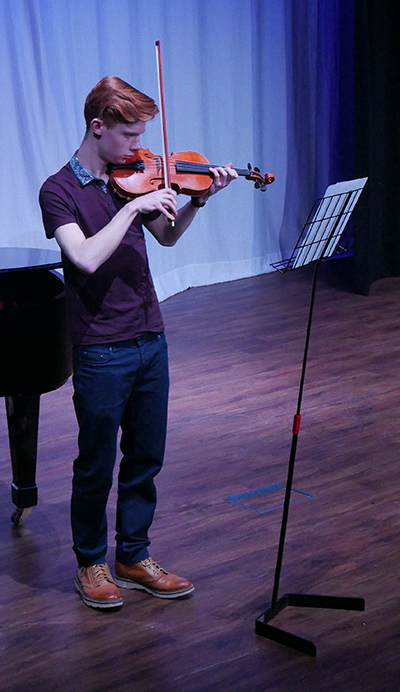 An impressive 12 solo performances from students showcased students’ assessed practical work with the audience, and demonstrated how complex the pieces of music they have been perfecting for their A levels are. The College Soul Band performed and were a big hit as always, as they gave their versions of hits from Artic Monkeys and The Smiths, while a Jazz Trio performed ‘Caravan’ by Duke Ellington and Flute, String and Violin groups performed too. 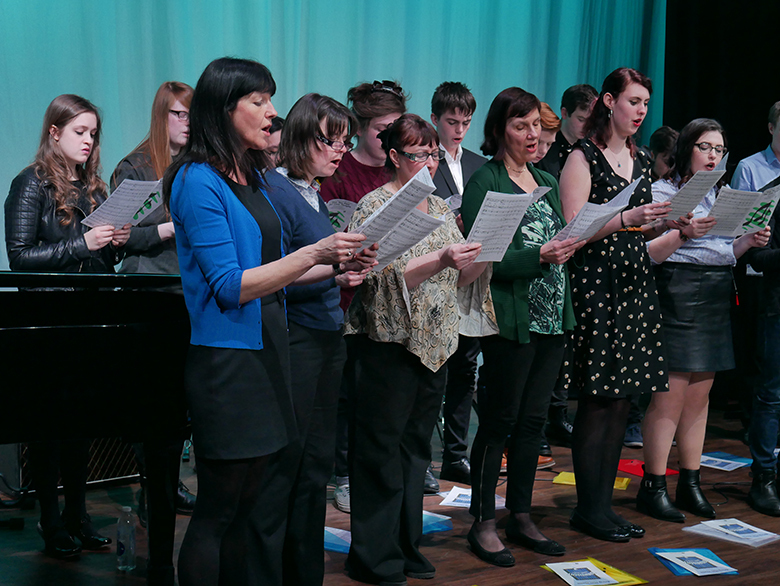 Staff and students came together in the College Choir as well. There was a guest appearance from ex-student Lily Allen-Dodd, a talented singer now studying at the Birmingham Conservatoire and she joined the choir for the night too. They sang four classical pieces in the first half, before turning to more contemporary pieces to close the concert, with music from ‘Les Misérables’ and ‘The Lion King’. Congratulations go to the students and to Chris Phelps and Margot Cooper for all their hard work. Thanks are also extended to accompanist Chris Collis, who also helped the students for their assessments.